Global Entry is an expedited screening program for people entering the U.S. from a foreign country. It essentially pre-screens participants for major red flags and criminal history to judge whether or not they’d be a risk entering the U.S. from a foreign area. Does Global Entry come with TSA PreCheck? What should I expect during the Global Entry interview? What if I’m having trouble making an appointment due to wait times? Am I guaranteed not to have any secondary screening with Global Entry? Do I need to fill out the customs declaration form on my flight? What’s the process for using a Global Entry kiosk? Which credit cards pay for your Global Entry membership fee? Do I need to declare all food? How does Global Entry compare to the regular customs process? What kind of trouble can I get into for misusing Global Entry? If I have a criminal history can I still apply for Global Entry? What is TSA PreCheck and how is it different from Global Entry? Do I need to carry the physical Global Entry card with me? What is the NEXUS program and how does that work with Global Entry? What is the SENTRI program and how does that work with Global Entry? What happens if you’re in a group or traveling with multiple people? What is CLEAR and how does that relate to Global Entry and PreCheck? How long does the entire Global Entry enrollment process take? Does Global Entry get you on-the-ground, expedited service or benefits? Let’s take a look at several of the most popular questions surrounding Global Entry. 1. Does Global Entry come with TSA PreCheck? 2. What should I expect during the Global Entry interview? 3. What if I’m having trouble making an appointment due to wait times? 4. Am I guaranteed not to have any secondary screening with Global Entry? 5. Do I need to fill out the customs declaration form on my flight? 6. 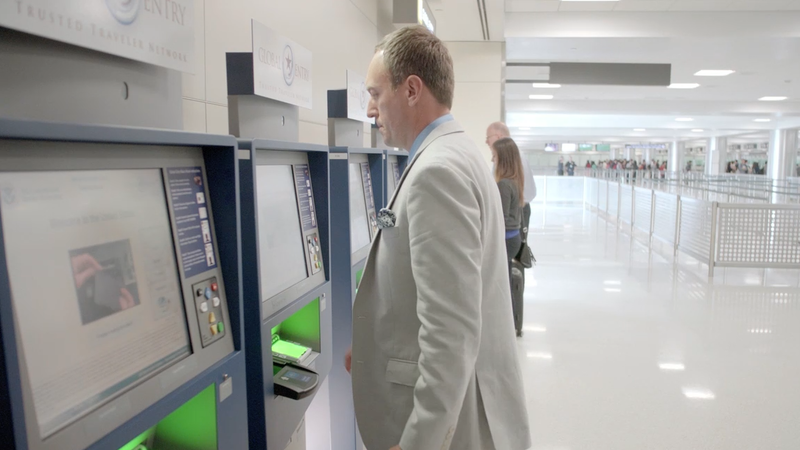 What’s the process for using a Global Entry kiosk? 7. Which credit cards pay for your Global Entry membership fee? 8. Do I need to declare all food? 9. How does Global Entry compare to the regular customs process? 10. What kind of trouble can I get into for misusing Global Entry? 11. If I have a criminal history can I still apply for Global Entry? 12. What is TSA PreCheck and how is it different from Global Entry? 13. Do I need to carry the physical Global Entry card with me? 14. What is a Known Traveler Number? 15. Which airlines participate in TSA PreCheck? 16. What is the NEXUS program and how does that work with Global Entry? 17. What is the SENTRI program and how does that work with Global Entry? 18. What happens if you’re in a group or traveling with multiple people? 19. What is CLEAR and how does that relate to Global Entry and PreCheck? 20. How long does the entire Global Entry enrollment process take? 21. Does Global Entry get you on-the-ground, expedited service or benefits? Yes, Global Entry does come with TSA PreCheck. TSA PreCheck is an expedited form of security within the U.S., where members can keep their shoes on, electronics in their bags, and light jackets on their body. This process usually allows participants to go through a standard metal detector and not a full body scan machine. Just because you have TSA PreCheck doesn’t mean you’ll always get the perks of TSA PreCheck, however. Members of the program are subject to random full scans where you’ll be sent to the regular security line and asked to remove your laptop, liquids, and shoes, so don’t always assume you’re going to have PreCheck perks when you arrive at the airport. Bottom Line: Global Entry does come with TSA PreCheck, allowing expedited security screening within the U.S. The Global Entry interview is done at an enrollment center, which has locations at most major airports. Once you arrive, you’ll be checked in and will watch a video about the Global Entry program, what’s included, and what’s not. 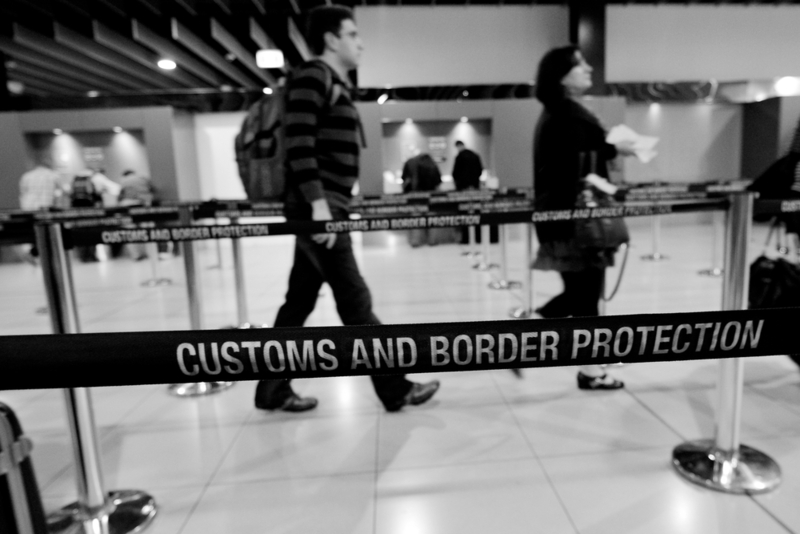 Eventually, you’ll meet with a Customs and Border Protection (CBP) officer. This officer will review your paperwork to ensure everything is in order, and also ask you simple biographical questions to verify your identity and intentions on using the program. 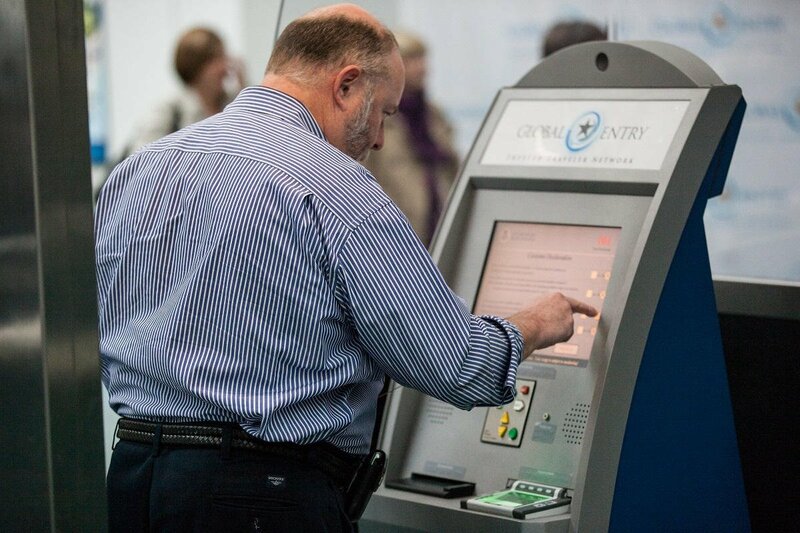 Also — probably the most important part — your fingerprints will be recorded and programmed into the system so when you use the Global Entry kiosk you can be easily identified. Scheduling a Global Entry interview can be tedious — sometimes, appointments aren’t available for months out, and I know several travelers that have personally had problems securing a confirmed appointment. Go to another nearby airport. For example, in the Washington DC area, both Washington Dulles and Baltimore/Washington have interview appointments, so if you can’t find anything at one airport, consider driving to the next nearest one. 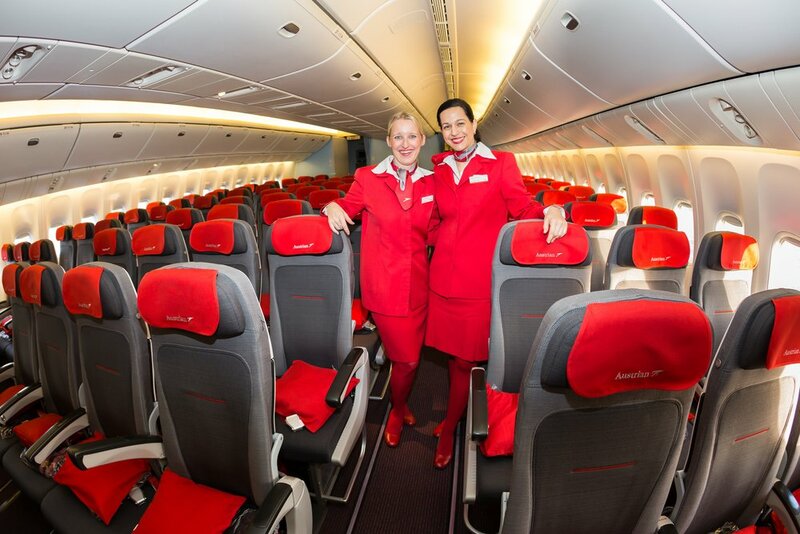 There’s no restriction on which airport you can do your interview. Consider making your appointment for while you’re traveling. Let’s say there are no appointments in your home market of New York City, but you plan on traveling to Seattle next week, and there’s an appointment there. You can make the appointment in Seattle and do your interview there. Not at all. You’re always potentially subject to extra screening or questioning, even without declaring anything. This extra examination could include looking at your bags, asking about where you’re coming from, a search from a drug dog, or other precautionary measures. Several years ago, I was stopped in JFK Airport upon coming back from a long weekend in Hong Kong (because that’s what crazy people with miles do, ya know?) and I was stopped by CBP officers upon showing my Global Entry receipt when trying to exit. I was told to step into a secondary area and waited while an officer searched all of my belongings, including my entire suitcase and backpack. Each article of clothing was removed and searched. Eventually, a drug dog was brought over to sniff me and the luggage, but of course, nothing was found. The entire process took around 15 minutes or so from start to finish and was extraordinarily thorough. For clarification, I was not declaring anything and didn’t mark “yes” to any of the questions on the Global Entry form itself, so I believe this was some sort of random check. Bottom Line: You are never guaranteed not to have secondary screening when using Global Entry — so don’t think you can get away with anything. You don’t, which is actually a cool benefit. As a member of the Global Entry program, you are NOT required to fill out the customs declaration form, so as you see the flight attendant walking down the aisle with them, you don’t need to take one. All of the questions on the form you’ll answer on the Global Entry kiosk in the customs area. As you approach the kiosk, you’ll be asked to insert your passport into the holder. The kiosk will automatically read the information on the passport and identify who you are. Then, it will ask you to scan your fingerprints on a green pad. These fingerprints will be compared with your passport information to ensure there’s a match. Following this, you’ll be asked to verify which inbound flight you arrived on. It’s worth noting that occasionally incorrect information pops up on this screen especially if there was some sort of irregular operations and you were re-routed or placed on another flight, etc. Most of the time it is correct, however. Once you confirm your flight, you’ll then answer the customs declaration questions — which basically ask if you’ve brought food into the country, have touched any live animals, or have brought in soil — the simple stuff. More on this in a minute, but you must declare all food that you’re bringing in. You’ll then confirm your answers are correct, and a receipt will print out of the kiosk which will have your picture on it. Once you’re past this point, you can collect any checked baggage and then proceed out of the baggage hall. There are a variety of premium credit cards that will reimburse you for purchasing Global Entry. Hot Tip: If you have one of the cards listed above, just apply for the Global Entry process as normal and then use the card to purchase the service. Once you do and it posts to your card statement, the charge will automatically be reimbursed. YES. I capitalize that because this is incredibly important, and I’ve seen many people get burned by ignoring this rule. You have to declare any and all food you have on you — even if it’s a pre-packaged snack. Most people think of “food” as fresh meat, produce, or vegetables, but forget about the bag of chips or cookies in their bag. Anything and everything has to be reported, no matter where you got it from or what you may deem as safe or pre-packaged. Failure to report even the most minor of food can result in your Global Entry membership being revoked, or you being charged with a crime, so please make sure to tell the officer about anything you may have brought with you. Bottom Line: ALWAYS declare all food you may have brought with you back into the country. Essentially the premise of Global Entry is an expedited screening for pre-vetted citizens. With your interview and background check, you’re essentially deemed to be an unthreatening person, not likely to bring in anything illegal, lie on any questionnaires, or try to circumvent the customs and border process in any way. It’s by no means a guarantee — there are plenty of people who misuse the system every year, but based on the statistical analysis, folks who are part of the program are less likely to do anything illegal. So, getting back to the differences between the regular line and the Global Entry line — folks in the regular line have not been vetted. These customers must fill out a customs declaration form on their inbound aircraft and physically speak with an officer at a booth upon entering the U.S. This officer generally asks more probing questions to see why this person is entering the country and examining their form and passport. Because these individuals have not been pre-vetted, the officer needs to make a judgment on whether that person is a threat or not. If you lie on any Global Entry questions when you come into the country, it’s almost near certain that your Global Entry will be revoked. Depending on the severity of what you bring in or fail to report, you may also be criminally prosecuted. Here’s the issue: it all depends on the crime, how much time has elapsed from it occurring, and what judgment was served. There’s really no hard science to this, however, what is known is that people with previous misdemeanors and even higher crimes have still been able to be accepted into the Global Entry program. 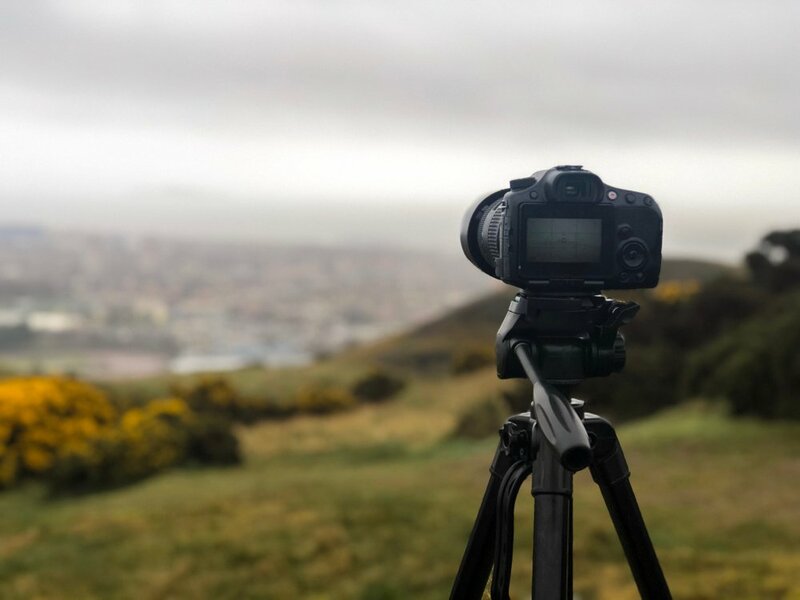 Your background application is reviewed along with the in-person interview, so if you do have some sort of criminal past, you need to fully disclose this without hiding anything. It’s not guaranteed you’ll get approved, but just because you have a criminal past, it’s not an automatic qualifier to get disapproved. Bottom Line: Just because you have a criminal history does not mean your Global Entry application will be revoked. TSA PreCheck is actually a separate program from Global Entry, but because you’ve been through the rigorous background check of Global Entry, TSA PreCheck is automatically given to you without any additional fee. Essentially, PreCheck is the domestic expedited screening membership and is only available within the U.S. Most airports within the U.S. have some sort of PreCheck lane, though smaller airports may not use a dedicated lane and instead ask you to present a card to the officer by the metal detector to signal your participation. At those airports with a dedicated lane, you’ll scan your boarding pass like usual, and the reader will indicate your eligibility for PreCheck. Sometimes, you may be directed to the regular lane as a random security check, though in my experience, it doesn’t happen often. As you proceed through the security process, you don’t need to take your shoes off and can leave your electronics and toiletry kit in your bag. You can even keep a light jacket on your person, but if it’s a heavy winter coat, it must come off. You’ll then proceed through a normal metal detector and not the full body scan machine. It’s a much quicker security process, for sure. No, the card is not required to go through the Global Entry lanes — this information is embedded in your passport number. You can also go through PreCheck without this card. For the most part, this card doesn’t serve a physical, day-to-day function. That said, the card is a form of government ID, just like your passport or driver’s license. So, when you go through security, you can show your Global Entry card as proof of identity. You can also use it with any other service or company requiring government ID proof. Some jobs or services require multiple forms of ID, some federal, for you to partake in whatever application or service they’re offering. 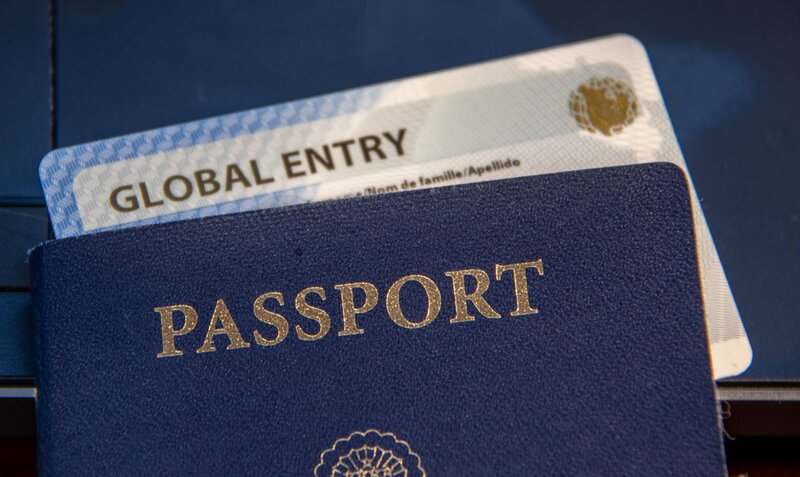 Along with your passport, your Global Entry card is a second form of valid identification. Your Known Traveler Number (KTN) is basically your identifier in the program — it’s the number that carries your Global Entry and your TSA PreCheck. That number has to be on your reservation (PNR) for you to gain access to both Global Entry and PreCheck. The following airlines are currently part of the TSA PreCheck program. Good question, because this can get a little complicated. NEXUS is basically the trusted traveler program for the U.S. and Canada, so when you enter Canada, you receive expedited entry, similar to that of using Global Entry coming into the U.S.
Interestingly enough, NEXUS also gets you Global Entry, so you actually benefit both going out of the country and back in. That said, Global Entry does NOT get you benefits going into Canada, so NEXUS is actually a better program, but be warned that no major credit cards reimburse that membership. In addition, because the program is a trusted traveler program of the border between the U.S. and Canada, you can only enroll in cities near those ports of entry. If you live in Miami, for example, it will be fairly difficult to enroll in NEXUS without flying up to a city in the northern part of the U.S. So, SENTRI is the trusted traveler program for the U.S. and Mexico. Similar to NEXUS, the program allows expedited entry to and from Mexico, helping you bypass the customs lines. SENTRI is even more limited about where you can apply. You can only apply in Texas, Arizona, New Mexico, and California. Like NEXUS, SENTRI is not reimbursed by any major credit card, so unless you frequent Mexico often, it’s probably not the best membership— you’re better off sticking with the “free” (via reimbursement) Global Entry program. Here’s one of the [few] downsides of Global Entry. If you’re coming off of a flight and are with a family or other large group and not everyone has Global Entry, you must either (a) split up, and you use the Global Entry lane, and everyone else uses the regular lane or (b) everyone uses the regular lane, and you receive no benefit as a Global Entry member. 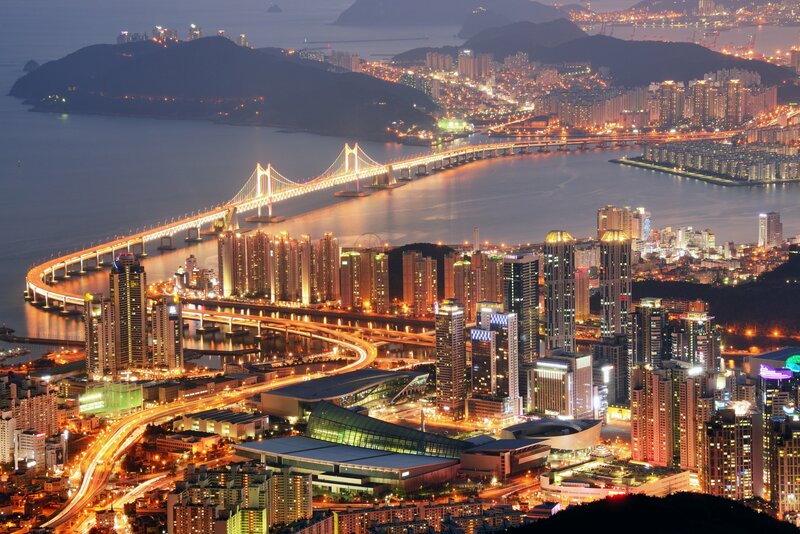 You’re still subject to the same restrictions as always, but you won’t have any expedited entry into the U.S. In most situations like this, I recommend still going through the normal Global Entry lanes, for those who are eligible, and then wait at the other end for folks in the regular lane. This way, you can collect your bags and take care of any necessary things beyond the border, such as checking in for onward flights. CLEAR is an entirely separate screening service and is run by a private, third-party company. It is not related in any way to Global Entry. CLEAR members pay an annual fee to go through security without having to show an ID. Basically, members walk up to a kiosk and scan their fingerprints as well as boarding pass. Once the system correlates the two, you’ll be authorized to proceed through security — which is generally just walking past the TSA agent without further verification. If you have PreCheck you’ll be placed in the PreCheck line, and if you don’t, you’ll be placed in the regular line. Bottom Line: CLEAR is a third party service that’s not Global Entry and is not PreCheck. You can enroll with CLEAR at CLEARME.com. I would plan on it taking about 3 months, end to end. Bottom Line: Applying to Global Entry is not an overnight task — if you have an upcoming international trip, you want to make sure you apply and get approved with plenty of time to spare. Aside from expedited screening in customs coming back into the U.S., there’s no expedited ground handling or other services. For these, you would either need to pay a separate fee with your airline, or have elite status on the carrier you’re flying on, but it’s important to note that just because you have Global Entry doesn’t mean your bags will come out first on the carousel. Global Entry can be a great way to speed through customs on your way into the U.S. and beat the lines. Since it comes with many premium credit cards, it’s a no-brainer to sign up for and allows you to use TSA PreCheck screening when you leave the U.S., too. All around, it’s a great time saver and one that I’d highly recommend exploring if you travel more than a few times a year. Hi Nikki! Thanks so much for your wonderful feedback! So glad you enjoyed the article!